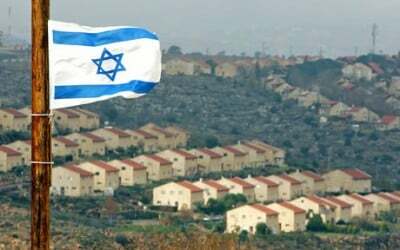 Following the overwhelming UN vote for implicit recognition of Palestinian statehood, Israel has authorized the construction of 3,000 more housing units in East Jerusalem and the West Bank and is also speeding up the processing of 1,000 additional planning permissions. Connecting Jerusalem to Maale Adumim “will create geographical continuity between the capital and its northern suburb, a move that the US and European countries have warned against,” Haaretz reported. The Israeli Prime Minister Benjamin Netanyahu has refused to comment on the decision, but many observers view it as a deliberate impediment to the the two-state solution, in revenge for the Palestinians’ peaceful diplomatic efforts to national self-determination at the UN, which was supported by an overwhelming international consensus. Israel, and especially the administration of Benjamin Netanyahu, simply refuses to accept a Palestinian state. Their efforts, including this latest settlement authorization, to colonize Palestinian territory and undermine the viability of a Palestinian state is representative of their refusal to give up the prospect of a Greater Israel with full sovereignty over all of historic Palestine.